Atari could make a 2017 comeback if a brief glimpse at Ataribox is anything to wager on. 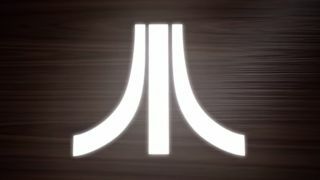 The once-huge retro gaming company is showing off what appears to be a wood-laden console that the video below describes as “a brand new Atari product. Years in the making”. It seems like the perfect time for Atari to hop aboard the retro revival movement that was spun into high speed by the Nintendo NES Classic. The Ataribox will likely be packed with old favorites, but hopefully not the E.T. game. Another reason why it seems to be an ideal time to release the Ataribox is to sync up its release with Blade Runner 2049, which prominently features the Atari logo much like the original film. We’ll have to see if Atari officially announces the Ataribox during E3 2017, but regardless, we’re looking forward to having more classic games on our entertainment centers right next to our modern consoles.